Millions of under-resourced American students lack the technology and skills required for success in tomorrow’s digital economy. Helping these kids bridge the digital divide and gain the ability to use technology in economically advantageous ways has become increasingly important for our future and our country as a whole. 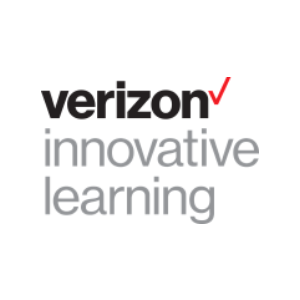 Since 2012, Verizon has been working hand-in-hand with nonprofit partners, our team of educators, and technology experts to build and administer Verizon Innovative Learning, a transformative program to help close our country’s digital divide. Our program provides free technology, free internet access and a next-gen, technology-infused curriculum that changes the way teachers teach and students learn. The camp will consist of a three-week intensive learning experience including courses in augmented and virtual reality, coding, 3D design, entrepreneurship and design thinking principles. Please note: Dates and times vary by community college location. Following the summer, the students will participate in monthly sessions throughout the academic year where they will develop a technology solution for a community problem that aligns with the United Nations’ Sustainable Development Goals (SDGs). Please note: Dates and times vary by community college location. Lunch, refreshments and transportation to/from the community college will be provided to the campers at no-cost during the summer sessions. Each camper will receive a Verizon Ellipsis 10 tablet to keep, provided that they attend 80% of the camp programming. There is no cost to attend this camp.